70% more power—much greater power than a Universal or Perio insert. 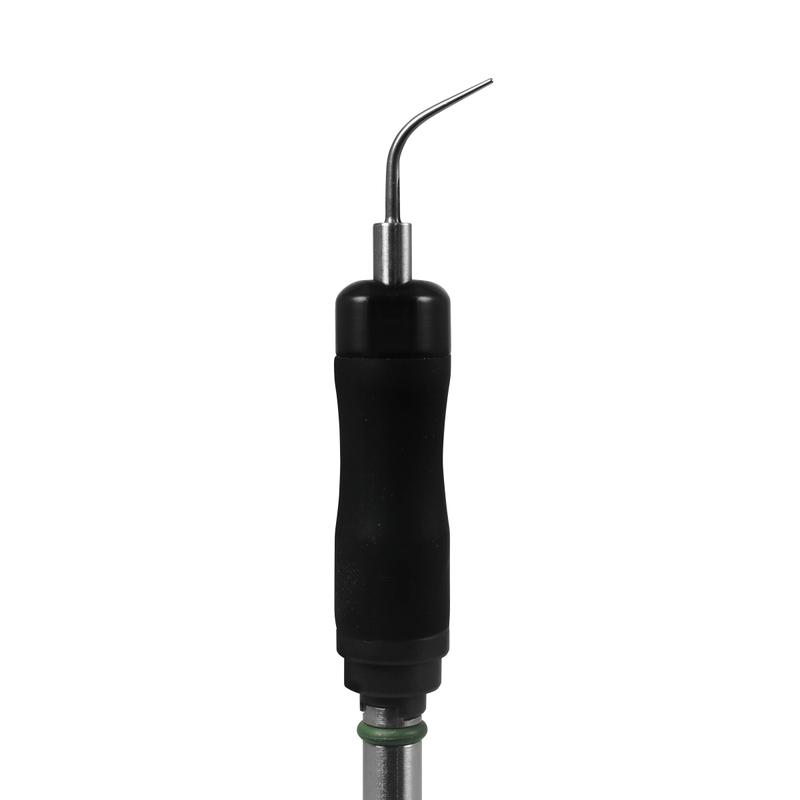 Robust enough to smooth plaque-trapping overhangs and remove proximal accretions and stubborn cements. Silicone grips insulate against vibration and heat transfer. Comfortable and ergonomic soft grip. For use in Parkell’s 30KHz and all 30KHz compatible scalers. CONQUER HARD DEPOSITS WITH EASE. The Burnett Power-Tip™ is our toughest insert on hard calculus. Its mass is greater along the working portion of the tip, so it has more momentum when it hits the calculus and transfers about 70% more energy. 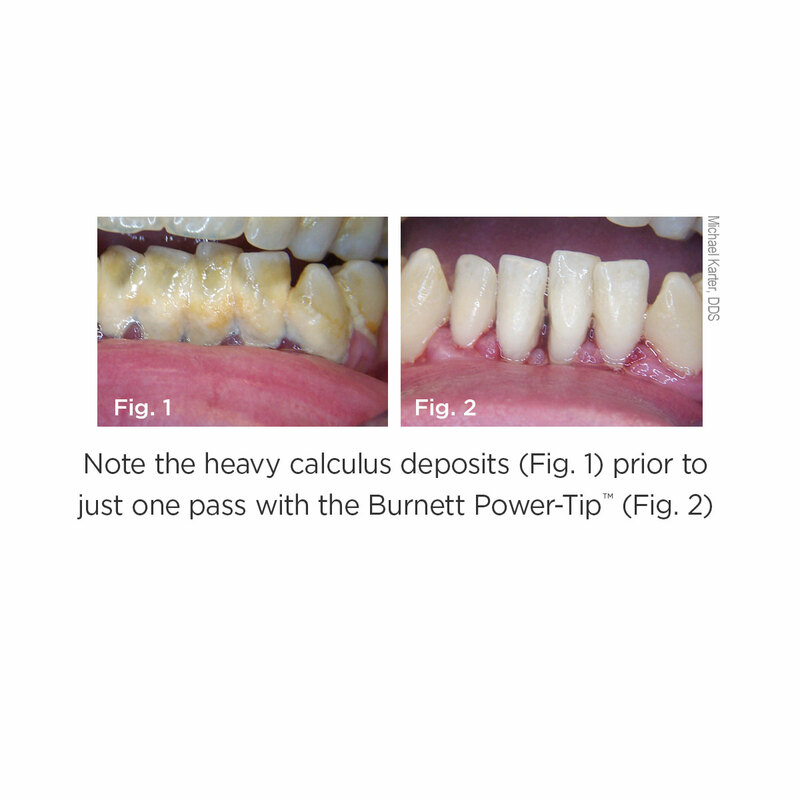 Nothing works better than the Burnett when you are tackling flinty root calculus, interproximal accretions or amalgam overhangs! The Burnett’s long, slim tip allows it to reach deep pockets. It’s also longer than a traditional slim insert and has a broader stroke. Finally, this little toughie is also more robust than a slim insert. If you need to, you can crank your scaler’s power to maximum with no problem. 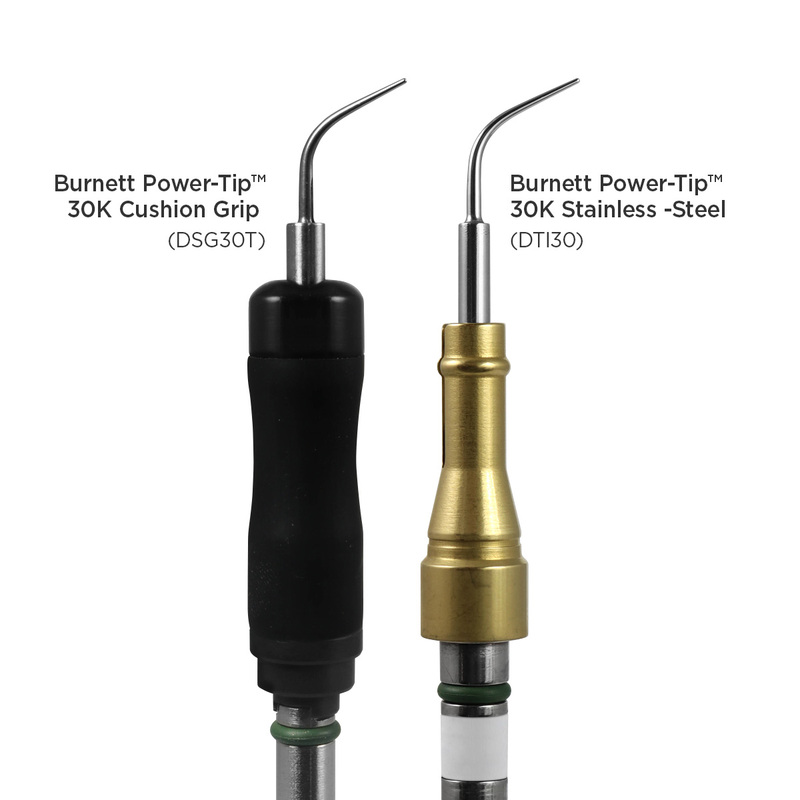 If you’ve never used the Burnett, it’s time to make the switch! If you’ve used the Burnett, you should give the soft-grip a try. 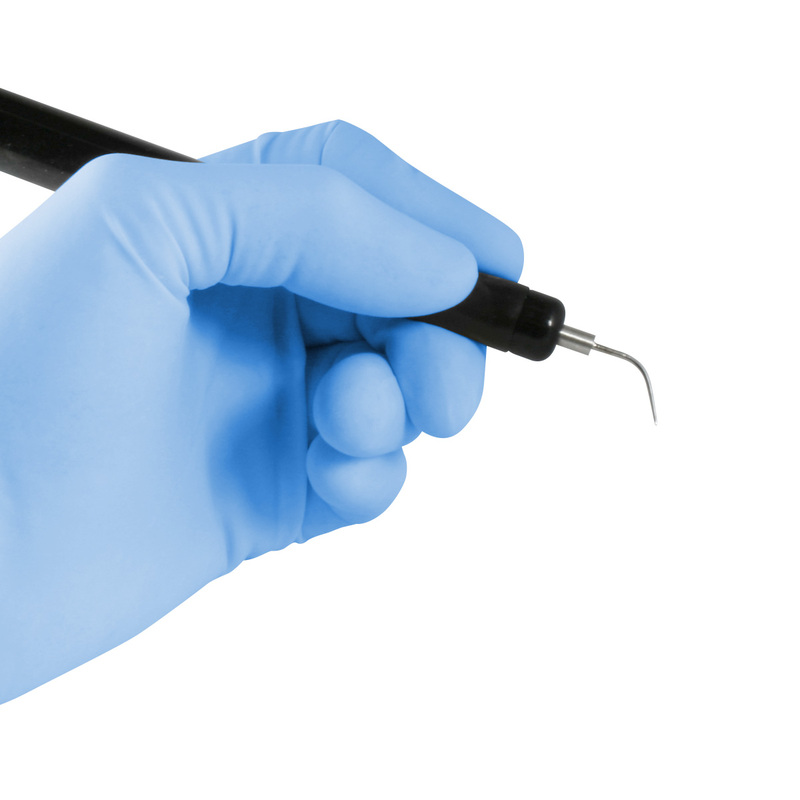 Ultrasonic scaling is now even easier on your hand and your patient!